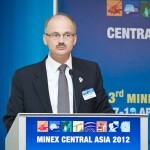 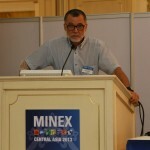 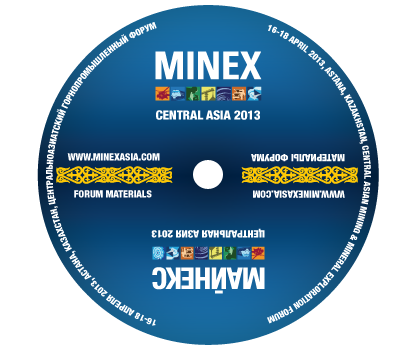 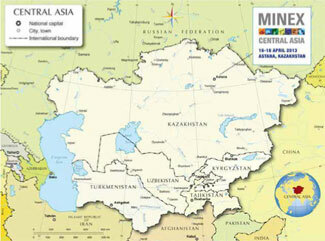 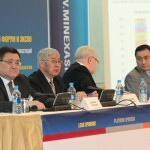 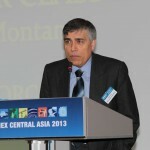 MINEX Central Asia 2013 - the 4th Mining and Exploration Forum was held from 16 to 18 April 2013 in Astana, Republic of Kazakhstan. 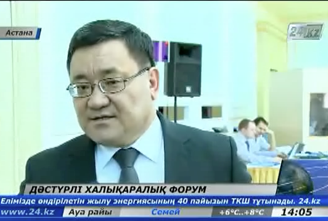 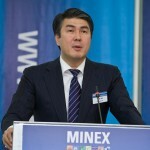 The Forum was organised with the official support of the Ministry of Industry and New Technologies of the Republic of Kazakhstan under the key theme "Promoting partnerships, diversification and investment." 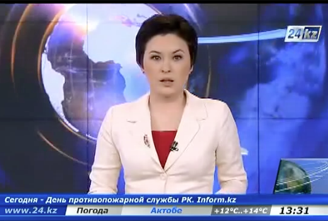 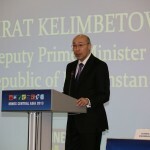 Nursultan Nazarbayev, President of the Republic of Kazakhstan sent welcome address to the Forum participants, which was presented by Mr. Kairat Kelimbetov, Deputy Prime Minister of the Republic of Kazakhstan who took part in the Forum opening on behalf of the Government of the Republic of Kazakhstan. 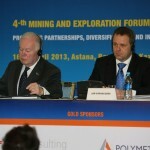 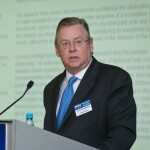 The opening session of the Forum was also attended by the senior officials of the foreign governments – Mr. Jan Vapaavuori, The Minister of Economy, the Ministry of Employment and the Economy of Finland, and Mr Charles Hendry, member of the House of Commons of the British Parliament, UK Prime Minister’s Special Trade Envoy to Kazakhstan. 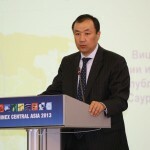 The forum was also attended by business delegations from Russia, Kyrgyzstan, Finland and China. 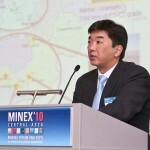 lack of access to existing quality geological data is still the main barrier to exploration investment. 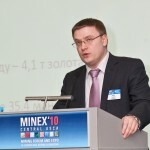 From May this year the Ministry of Industry and New Technologies will begin registering applications for the new subsoil use licences. 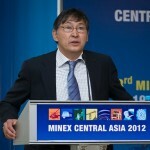 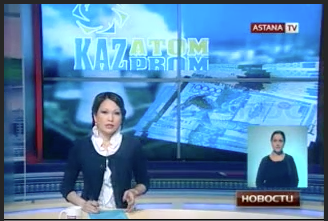 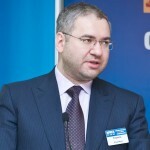 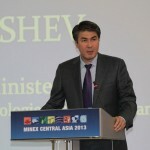 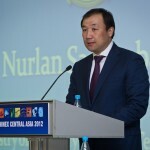 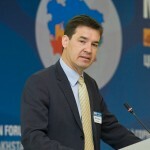 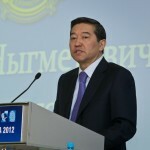 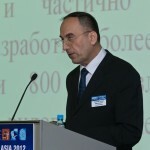 Asset Issekeshev, Deputy Prime Minister of Kazakhstan, Minister of Industry and New Technologies. 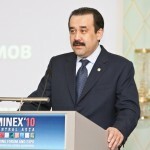 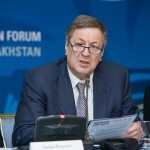 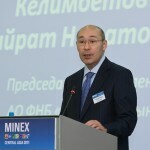 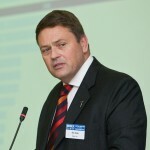 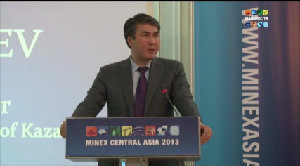 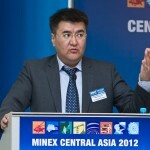 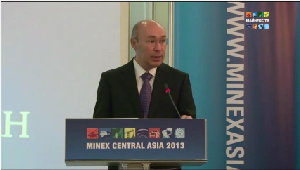 Astana, 20.04.2013 Presenting at the MINEX Central Asia Forum, Mr Asset Issekeshev, Deputy Prime Minister of Kazakhstan, Minister of Industry and New Technologies announced that from May 2013 the Ministry will begin sale by public auction of the subsoil use rights.